White living room, kitchens, and bedrooms are popping up all over Pinterest lately. It's become increasingly popular to have a monochromatic room because it let's your decor pieces really stand out. It's light, and airy, and happy. I get it. 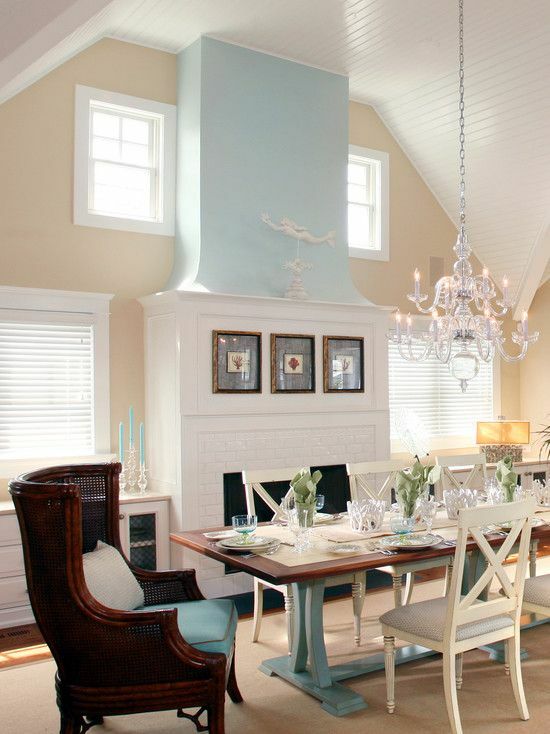 However, after coming across a couple of images of rooms using powder blue, I kind of fell in love with the color. 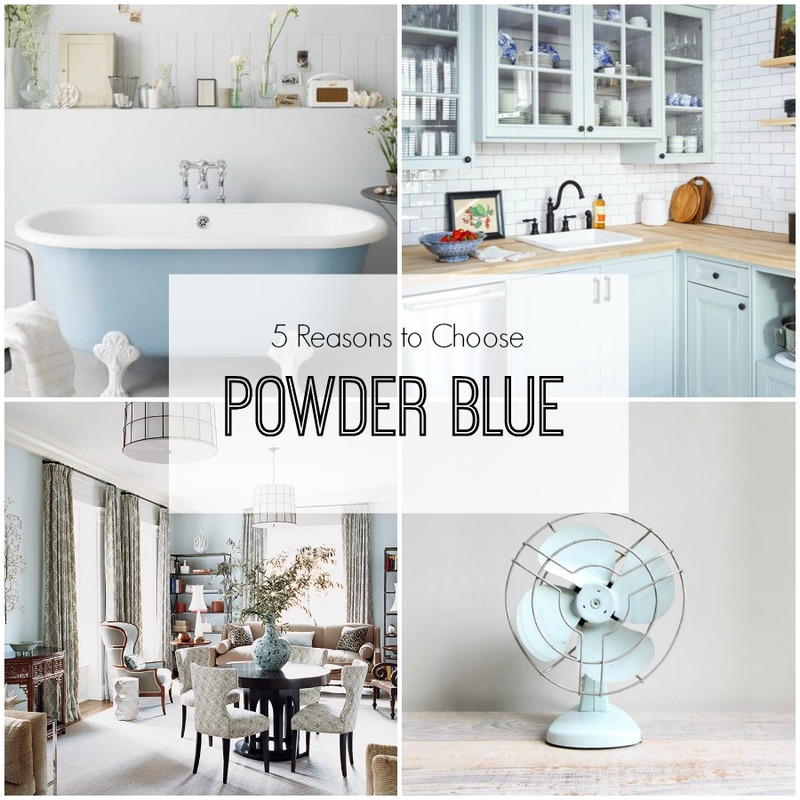 Here's 5 reason's why you should consider going for a shade of powder blue in your house. 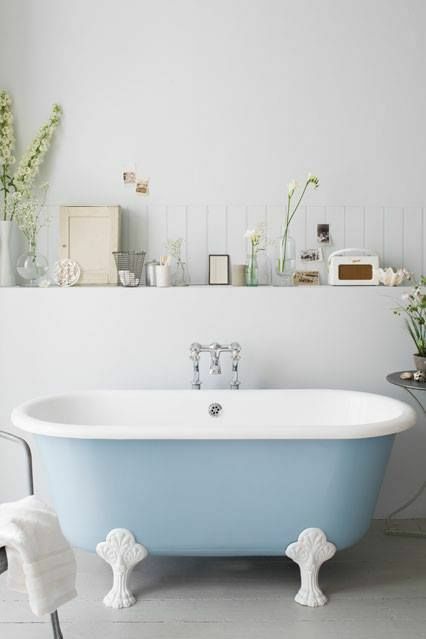 The pastel shade of blue reflects light, just like white does, meaning you get the same brightness in a room with powder blue walls as you would have with white walls. Blue is one of the few colors that I really love with both browns and grays. You could take a blue room really cool by adding shades of gray and black. 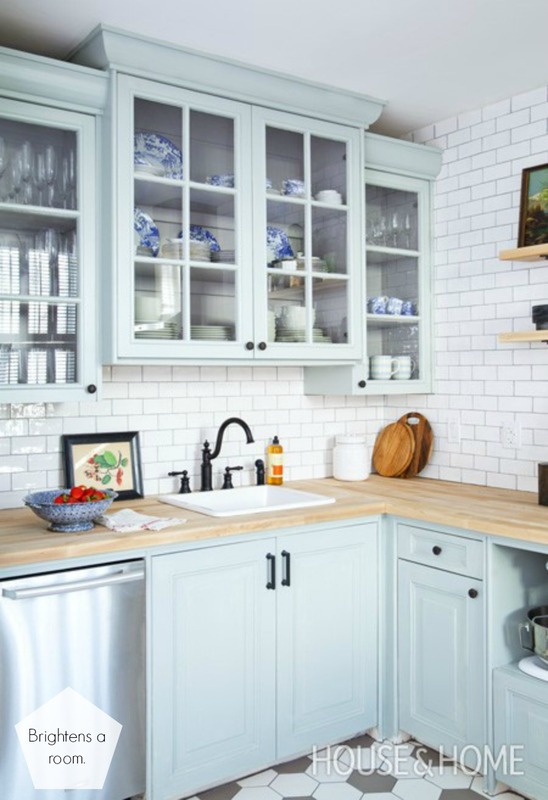 Combined with warm browns and wood grains, blue can take on a very warm, cozy feel. Or, for a more contemporary look, pair the pale blue with both browns and blacks. This is my favorite option. Not interested in very neutral rooms? 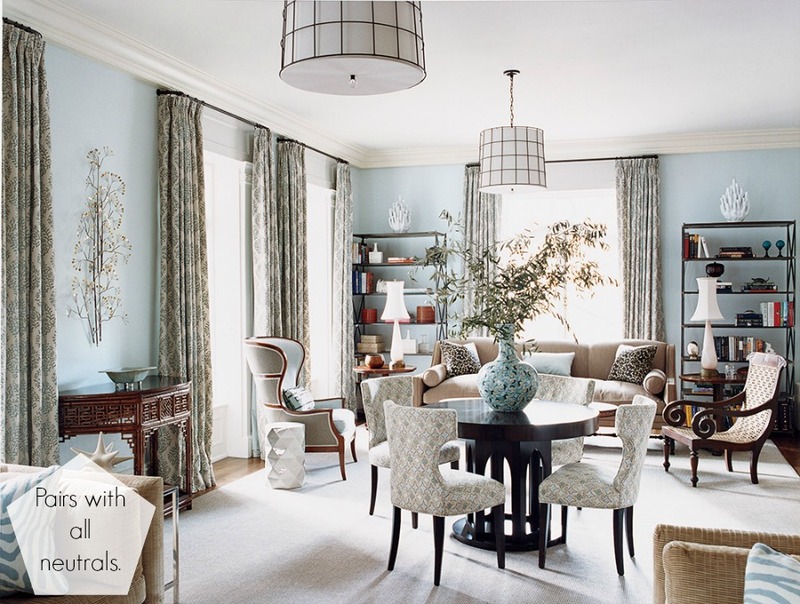 Any accent color can pair with blue for to get a different style. 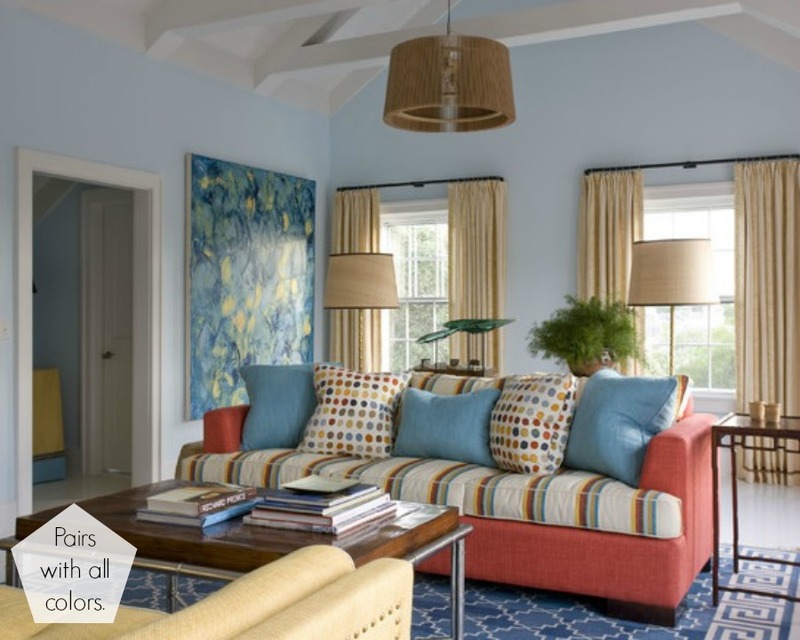 Blue paired with a bright green or orange can lean toward an eclectic style. Pair it with other pastels for romantic or traditional style. 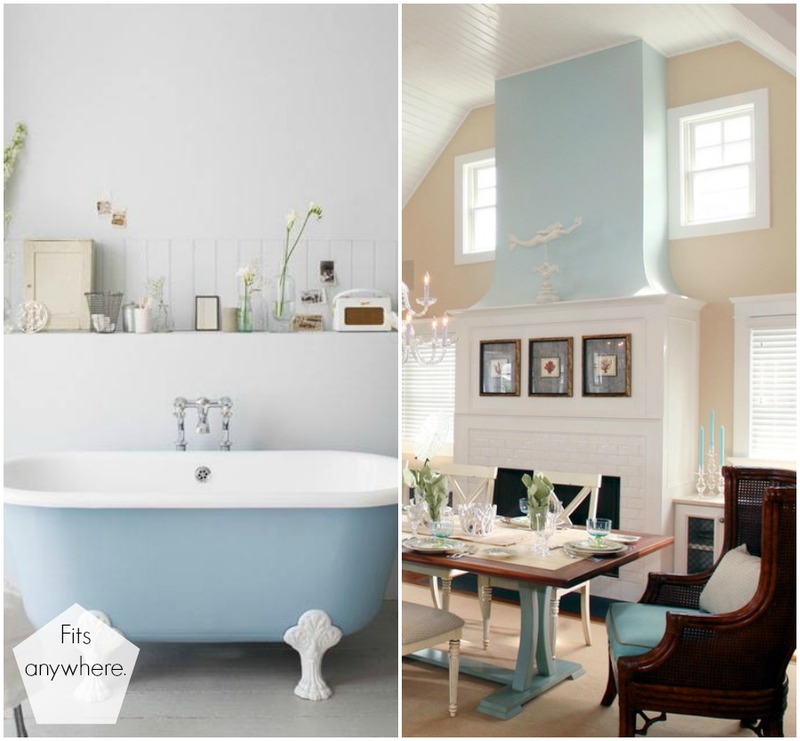 Just take a browse around Pinterest and you'll find every room in your home could be done up in powder blue. It's incredibly versatile. 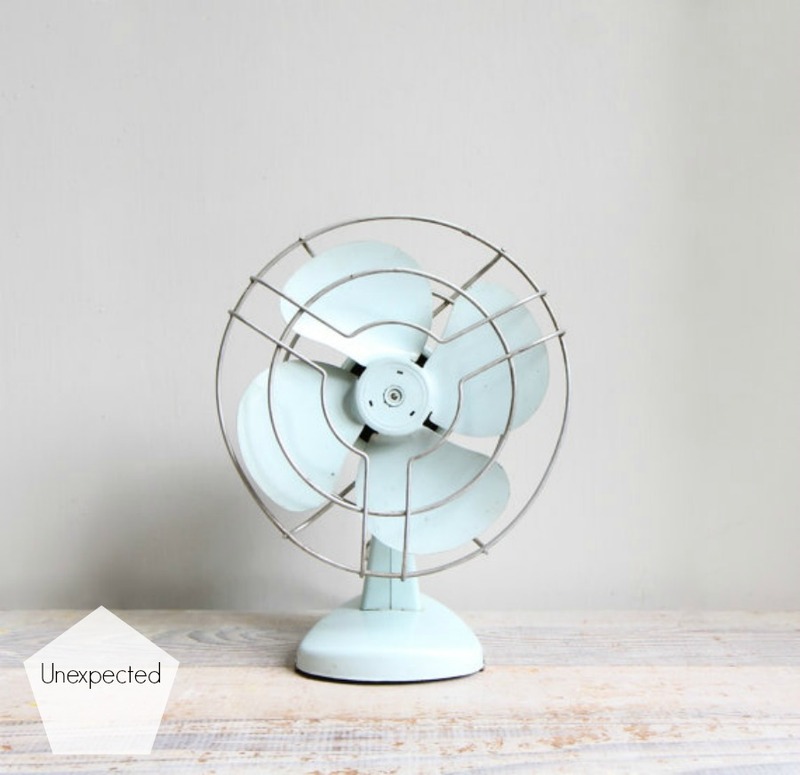 With the mint green trend spreading across the world like wild fire, this hue is unexpected, but just as fun and refreshing. Because of that, it's a great color to try out this spring.